Twitter is without doubt an information behemoth and there are around 2,000 tweets worldwide a second on the micro blogging site. That may be Impressive; but also a nightmare to sift through for specific information. Learning how to find specific information is a necessity and that’s why we have come up with 10 our ten tips for better Twitter searches. Twitter’s split into Tweet, people, video and image areas and these are then sectioned into ‘Top’ and ‘All Tweets’. Of course, this is done through complex algorithms and popular, engaged tweets appear in the ‘Top’ section. However, for more in-depth Twitter searches you will need to select ‘All’. The retweet is great to get but a pain when searching. Simply add a minus sign or –RT after the search word to get a retweet free result. If you want a specific area only in your tweet results all you have to do is add near: “area” within: xxmi – for instance near: “Colchester” within :10mi would give you tweets sent within a 10 mile radius of Colchester. Add filter: links after your search word to find a tweet with external links. Of course, sometimes you will want to pinpoint a specific person’s tweets and this can be done by typing from: username – here you will find information from this person’s sent tweets. 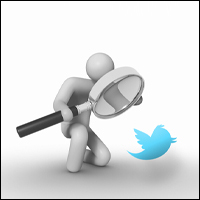 It’s possible to search for positive or negative tweets by simply adding : ) or : ( to your search. Adding question marks to search also finds tweets with questions. If you want to find a tweet or content that is up to or from a specific date it is possible to do so by entering since: 2011-12-21 or to find those sent up to a date enter 2012-9-19. This is very useful for a number of reasons. There are also commands to find tweets from specific sources. This means that you can isolate SMS based or Twitter client based Tweets. Simply add Source: txt for text tweets or Source and the client’s name for information in this area. It’s also possible to save Twitter searches without the need for external software. Search and then hit the Enter key. Now when you click on the cog on the top of the screen you can save the search. This can then be found again by clicking on the search area and choosing it from the drop down menu. It can be hard to remember all this new information, especially on top of all the other commands, information and digits we have to recall. Fortunately, Twitter has added most of the aforementioned commands in template from on the advanced search page. Twitter is a powerful tool and can be even more powerful if you know how to work faster and more accurately by performing better Twitter searches. Are you using Twitter for business? Check out these Twitter business tips or get in touch with our experts to discuss social media management services.